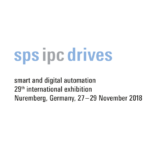 Thank You for visiting us at this year‘s sps ipc drives. Under the motto #theworldiswireless Schildknecht AG – as an expert in the field of radio solutions – presented the latest products, trends and projects in automation technology. Replacing cables by radio links – this is a technology having been proven for many years particularly in process technology. In practical terms, this means: Easy installation with reduced maintenance effort. Look forward to the presentation of the IoT Edge Gateway. The first gateway which speaks all languages and consequently represents the perfect connection between sensors, machinery and the cloud. The IoT Edge Gateway DATAEAGLE 7050. Subjects such as digitization and Industrie 4.0 (Industry 4.0) require monitoring of machinery and there with systems that are sensor-based. 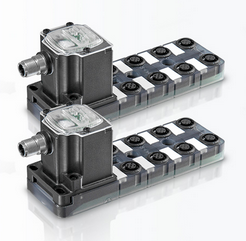 The new Wireless Sensor System DATAEAGLE 2730 enables sensor coupling of Bluetooth Low Energy sensors to the control unit via different fieldbus interfaces such as e.g. PROFINET. The Wireless Sensor Gateway is the system which couples wireless sensors to the control unit and is capable of ideally forwarding data to a cloud. Thus, it is the perfect Remote Monitoring System for Industrie 4.0. Leave us a message or request a call back.